The book is now out in print, worldwide, through Lulu.com (see below for link). The eBook will follow in a couple of weeks, available on Amazon. Don’t worry, I’ll remind you in time for Christmas shopping. So now we can find out what happened to Emily and Dave (see the teaser in my blog SF Success! 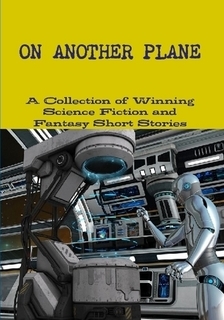 a month ago), along with reading the other competition-winning stories in the anthology. Whew – I was getting so worried about them….